Queen Bey does it again! 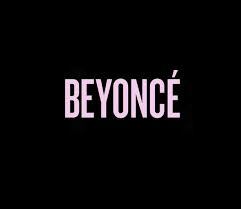 Taken from her digitally released eponymous titled album, Beyonce, “Drunk in Love” explores female sexuality, irrepressible lust, and mind-blowing sexual escapades with a committed lover. The second verse of the song is half-rapped by Beyonce; her husband, Jay-Z, later adds his freestyle, “Your breasteses is my breakfast“, sending a clear message that he cannot keep his hands off of his wife. Vocally, the diva (who often showcases a vocal range that spans 3.6 octaves) displays a raspier tone, reminiscent of an earlier Stevie Nicks record. 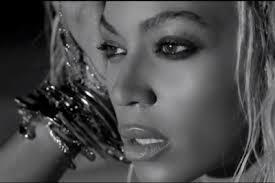 Musically, “Drunk in Love” is dominated by trap beats and chunks of bass instruments. The song consists of vague synthesizers, scintillating strings, and finger snaps. It’s a sound quite different from usual recordings. The overall sound of the record was the power couple having a great time. In the United States, Beyoncé debuted at number one on the Billboard 200 with three-day sales of 617,213 digital copies. This gave Knowles (Mrs. Carter) her fifth consecutive number-one. It became the highest first-week sales of her solo career and the best-selling début week for a female artist in 2013; six days after release it had sold one million copies worldwide. “Drunk in Love” debuted at number 12 on the US Billboard Hot 100 chart, tying her 2006 single “Ring the Alarm” for the highest début on this chart throughout her career. Despite being released in only the US, it managed to appear on some international charts. It has generally peaked the top 50 in most European countries’ singles charts. Since its December 17, 2013 release, the single is, currently, at number two on Billboards Hot R&B/Hip-Hop Songs and is still rising. What a way to end last year and start the New Year!